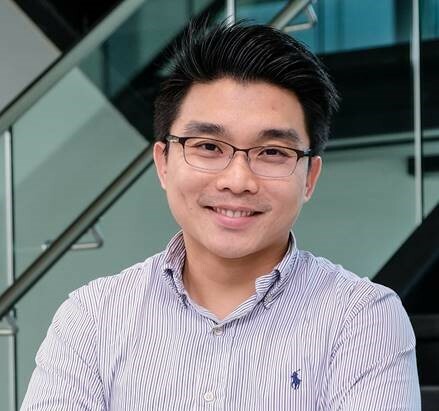 Dr. Han Wei Hou is currently an Assistant Professor at the School of Mechanical and Aerospace Engineering and the Lee Kong Chian School of Medicine (LKCMedicine), Nanyang Technological University (NTU), Singapore. He received his BEng (First Class Hons) and PhD degree in Biomedical Engineering from the National University of Singapore in 2008 and 2012, respectively. Upon graduation, he did his postdoctoral training at Massachusetts Institute of Technology (MIT), and subsequently joined LKCMedicine at NTU as the inaugural LKCMedicine Postdoctoral Fellow in 2014. Dr. Hou has over 30 peer-reviewed scientific publications, and his work has been featured in online science (ScienceDaily, TheScientist, Cancerforall and Genomeweb), healthcare (News Medical), as well as technology magazines (Gizmag, Nanowerk). He has received several scientific awards including the Singapore-MIT Alliance for Research and Technology (SMART) Graduate Fellowship (2009), Young Investigator Award at the 6th World Congress of Biomechanics (2010), and LKCMedicine Postdoctoral Fellowship (2014). Your recent Emerging Investigator Series paper focuses on Integrated inertial-impedance cytometry for rapid label-free leukocyte isolation and profiling of neutrophil extracellular traps (NETs). How has your research evolved from your first article to your most recent Emerging Investigator article? My first article when I was an undergraduate student was on the study of cancer biomechanics using microfluidics. Since then, I worked on other blood-related diseases such as malaria, sepsis and diabetes, and gradually became more interested towards microfluidics-enabled studies of host inflammation and immune responses in metabolic diseases. Regardless of disease type, our key idea is to develop integrated label-free cell sorting and biosensing approaches so that it can be cheap, fast and readily translated to clinical use. In my opinion, this work is a nice combination of all aspects. With this paper, we can now use a drop of blood to assess immune heath within minutes in a single-step user operation. We believe this work has great translational potential, and we are actively seeking new collaborators to test other diseases with immune dysfunctions. In your opinion, what is the next step from creating your device to it being used for point-of-care testing in diabetes? and what are the most important questions to be asked/answered in this field of research? Through this work and other recent work by our group, we have showed that diabetic leukocytes have distinct dielectric differences which can be used for immune health risk stratification. The next few important questions to ask is why are they different, and how we can further develop our technologies/assays to improve prognostic capabilities. As our work is highly interdisciplinary, the most challenging aspects are about finding the right people (collaborators, students etc.) and asking the right scientific questions (not too basic science, not too clinical and not too engineering)! Family time! Nowadays I enjoy spending time with my 18-month-old daughter Hannah, who never fails to amuse me or tire me out. If time permits, I will try to catch some US late-night talk shows too! Tough choice! I’m torn between being a Lego/toy designer and a pilot. Talk to people outside your research disciplines. Learn to unlearn things if necessary because science and technology is advancing so fast. Our Analytical Chemistry journals Analyst, Analytical Methods and Lab on a Chip are committed to early career researchers in the analytical chemistry and engineering fields. Our Emerging Investigator Series provide a platform for early career researchers to showcase their best work to a broad audience. If you have an independent career and are within 10 years of obtaining your PhD or within 5 years of your first independent position you may be eligible for our Analyst, Analytical Methods or Lab on a Chip Emerging Investigator Series. Appropriate consideration will be given to career breaks and alternative career paths. Jérôme Charmet received the Diplôme d’Ingénieur in Microtechnology Engineering from HES-SO Arc in Switzerland in 1998, the M.Sc. degree in Biomedical Engineering from the University of Bern, Switzerland, in 2010, and the PhD degree from the University of Cambridge in 2015. Overall, he worked for more than 10 years in both industrial and academic positions, including Intel Corporation, the National Centre for Sensor Research of Dublin City University in Ireland, the Microtechnology Institute of HES-SO Arc in Switzerland and the Centre for Misfolding Diseases of the University of Cambridge, UK. He joined the University of Warwick as an Assistant Professor in 2016 where he is developing integrated microfluidic platforms to study complex fluids and biological environments with applications in diagnosis, monitoring and drug screening/discovery. Read more about his group research here. Your recent Emerging Investigator Series paper focuses on protein mixtures using microfluidic diffusional sizing combined with synchrotron radiation circular dichroism. How has your research evolved from your first article to this most recent article? It has evolved quite a lot, in fact it was not even directly related to microfluidics! I have started to explore organs-on-a-chip platforms with some colleagues biologists and I find it quite fascinating. But to be honest, every aspects of my work is exciting. I have a great team and collaborators I really enjoy to work with on a daily basis! In your opinion, what applications can your current approach be used for? In the manuscript we have used diffusional sizing to resolve the secondary structure of a complex mixture of proteins using synchrotron radiation circular dichroism, but the approach can be applied to other biomolecules with other bulk measurement techniques. We are taking advantage of laminar flow to separate the mixture into “controllable” fractions. By measuring the mixture and the different fractions, we can retrieve information about each component in the mixture. It’s multidisciplinary nature.. but it is also one of the most rewarding (when it works). I’m just back from MicroTAS 2018 in Kaohsiung (Taiwan). Next, I will be attending the 8th Annual UK and Ireland Early Career Blood Brain Barrier Symposium 2018 in Oxford. Hiking, running … and these days spending as much time as possible with my 1 year old son. I got to work with art conservator-restorers (…for some reason) and it is something I would definitely enjoy. It will sound a bit cheesy, but I will say “believe in your own ideas and importantly, find the right environment to develop them”. 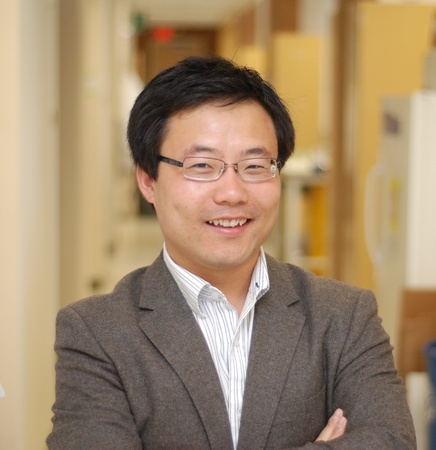 Dr. Weian Zhao is an Associate Professor at the Sue and Bill Gross Stem Cell Research Center, Chao Family Comprehensive Cancer Center, Department of Biomedical Engineering, and Department of Pharmaceutical Sciences at University of California, Irvine. Dr. Zhao is also the co-founder of Velox Biosystems Inc, Baylx Inc, and Amberstone Biosciences LLC, start-up companies that aim to develop technologies for rapid diagnosis, stem cell therapy, and drug discovery, respectively. Dr. Zhao’s research aims to 1) elucidate and eventually control the fate of transplanted stem cells and immune cells to treat cancer and autoimmune diseases, and 2) develop novel miniaturized devices for early diagnosis and monitoring for conditions including sepsis, antibiotic resistance and cancer. Dr. Zhao has received several awards including the MIT’s Technology Review TR35 Award: the world’s top 35 innovators under the age of 35 and NIH Director’s New Innovator Award. Dr. Zhao completed his BSc and MSc degrees in Chemistry at Shandong University and then obtained his PhD in Chemistry at McMaster University in 2008. During 2008-2011, Dr. Zhao was a Human Frontier Science Program (HFSP) Postdoctoral Fellow at Harvard Medical School, Brigham and Women’s Hospital and MIT. Your recent Emerging Investigator Series paper focuses on functional TCR T cell screening using single-cell droplet microfluidics. How has your research evolved from your first article to this most recent article? I was trained as a colloidal and surface chemist. My first paper back when I was a PhD student was about building nanostructures using DNA as a template. Over the years, my research has evolved towards addressing immediate, major unmet need in biology and medicine; this is achieved by developing new tools and technologies, often using an interdisciplinary and collaborative approach, as exemplified by this new paper. It is the perspective that what we do in research can potentially solve real-world problems and help the patients in a short term. Like this new paper illustrated, our single-cell system holds great potential to accelerate development of cancer immunotherapeutics. There is a great and urgent demand in the clinic for many more of this type of promising drugs that can benefit patients who do not have lots of time to wait. In your opinion, how can droplet microfluidic technologies contribute to immune-screening and immuno-therapy and personalised medicine in general? Droplet microfluidic technologies and other exciting single-cell systems being developed in our field can contribute to immune-screening, immuno-therapy and personalised medicine by significantly reducing the time needed for the discovery phase. For example, conventional screening platforms for immunologic agents such as antibodies or T cells, usually take months to years to obtain a therapeutic candidate whereas the new single-cell platforms can potentially do this in the matter of days to weeks. In this new paper, this ability is enabled by directly interrogating the “functions” of individual cell clones in greater depth by using single-cell analysis. As biological samples are heterogeneous, this key information is often lost in conventional, population based studies. It is always the people. I take time to identify and build the right team that, once in place, can almost conquer any challenges in research itself. I also wish I could spend more time to do research rather than writing grants. Mostly with the family, and watching Manchester United games. Probably try to become a football manager in the English Premier League. There is a lot of similarity in running a research laboratory and running a football club, isn’t there? Ask for help and mentorship from people who have succeeded in what you are trying to do. Try to accelerate your progress through collaboration and partnership. 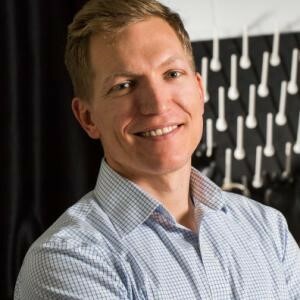 Kyle Bishop received his PhD in Chemical Engineering from Northwestern University under the guidance of Bartosz Grzybowski for work on nanoscale forces in self-assembly. Following his PhD, Dr. Bishop was a post-doctoral fellow with George Whitesides at Harvard University, where he developed new strategies for manipulating flames with electric fields. He started his independent career at Penn State University in the Department of Chemical Engineering. In 2016, Dr. Bishop moved to Columbia University, where he is currently an Associate Professor of Chemical Engineering. Dr. Bishop has been recognized by the 3M Non-tenured Faculty award and the NSF CAREER award. His research seeks to discover, understand, and apply new strategies for organizing and directing colloidal matter through self-assembly and self-organization far-from-equilibrium. Your recent Emerging Investigator Series paper focuses on the measurement and mitigation of free convection in microfluidic gradient generators. How has your research evolved from your first article to this most recent article? Our first article in Lab on a Chip focused on harnessing electric potential gradients to power transport and separations within microfluidic systems. Here, we examine how chemical gradients can drive fluid flows as well as motions of colloidal particles, lipid vesicles, and living cells. These topics are linked by our continued interest in harnessing and directing thermodynamic gradients to perform dynamic functions at small scales. Currently, we are excited by our pursuit of colloidal “robots” that organise spontaneously in space and time to perform useful functions, which can be rationally encoded within active soft matter. In your opinion, what is the future of microfluidic gradient generators? Any new applications you foresee for them? Our interest in microfluidic gradient generators grew from a desire to quantify the motions of lipid vesicles in osmotic gradients (so-called osmophoresis). These measurements were plagued by undesired gradient-driven flows. We thought that our efforts to understand and mitigate these flows would be useful to others studying gradient driven motions (e.g., chemotaxis of living cells). Staying focused. The world is filled with many micro-mysteries that may pique your curiosity, but time is limited. Picking problems and following through on their solution is an ever-present challenge. Our group regularly attends the AIChE Annual Meeting and the ACS Colloid and Surface Science Symposium. Exploring New York City with my family and thinking about science. What a horrible thought…perhaps a lawyer as I value evidence-based reasoning and the rule of law (physical or otherwise). Think big and collaborate often. Dr. Scott Tsai is an Associate Professor in the Department of Mechanical and Industrial Engineering at Ryerson University, and an Affiliate Scientist at the Li Ka Shing Knowledge Institute of St. Michael’s Hospital. He obtained his BASc degree (2007) in Mechanical Engineering from the University of Toronto, and his SM (2009) and PhD (2012) degrees in Engineering Sciences from Harvard University. After a brief NSERC Postdoctoral Fellowship at the University of Toronto, Dr. Tsai joined Ryerson University at the end of 2012. 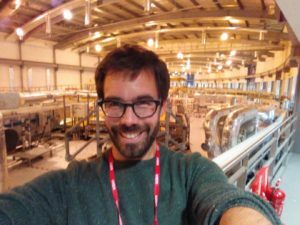 He leads the Laboratory of Fields, Flows, and Interfaces (LoFFI), which is currently developing innovative microfluidic approaches to generate and use water-in-water droplets and microbubbles in a variety of biomedical applications. Dr. Tsai is a recipient of the United States’ Fulbright Visiting Research Chair Award (2018), Ontario’s Early Career Researcher Award (2016), Canadian Society for Mechanical Engineering’s I. W. Smith Award (2015), and Ryerson University’s Deans’ Teaching Award (2015). My group’s research is contributing to the exciting and emerging theme of all-aqueous and biocompatible water-in-water droplet microfluidics, which was started just a few years ago. Following the pioneering work of others, such as Anderson Shum (University of Hong Kong), we demonstrated that pulsating inlet pressures could be used to break-up all-aqueous threads into water-in-water droplets (Moon et al., Lab on a Chip, 2015). We subsequently simplified the approach by using weak hydrostatic pressure to passively create the water-in-water droplets (Moon et al., Analytical Chemistry, 2016), which enabled other applications, such as cellular encapsulation and release (Moon et al., Lab on a Chip, 2016), Pickering-style stabilization (Abbasi et al., Langmuir, 2018), and diamagnetic manipulation, as described in this paper. I am really excited to see what other tools emerge in the coming years that leverage water-in-water droplet microfluidics. I think right now, we as a community are still in the phase of developing the functionality and performance of water-in-water droplet microfluidics platforms. However, I have not seen many papers that leverage the unique characteristics of water-in-water droplets, which are based in aqueous two phase systems (ATPS). For example, ATPS fluids can selectively partition molecules and cells into or out of the droplet phase. I am most excited to see what we and other researchers can create that exploits unique features such as this. In your opinion, what do you think is the future of droplet encapsulation technologies for single cell analysis? Predicting the future is always difficult, but I would say that at some point there will start to be some kind of standardization of encapsulation technologies, so that the entire field can move further into single cell analysis applications. I find that the most challenging aspect is related to selecting the right problems to work on. Water-in-water droplet microfluidics is emerging and there are many possibilities for research in this area. However, we have limited resources like time and funding, so we have to be selective about which problems to work on, and try to pick the ones that we think will have the greatest impact on advancing the field. I always enjoy learning more about fluid mechanics at the American Physics Society’s Division of Fluid Dynamics (APS-DFD) meeting. I am also a huge fan of the Ontario on a Chip symposium, which was sponsored by Lab on a Chip this year. I was the co-host with Edmond Young and Milicia Radisic (both from the University of Toronto) of Ontario on a Chip for a few years, and my entire group attends the symposium every year. The keynote talks by international leaders in our field draws many attendees, but I am also always amazed by the quality of the student presentations. These days, my spare time is mostly spent with my young family—my wife Edlyn, and my two daughters, Abigail (4) and Chloe (1). I also do some volunteer work for my church. Additionally, as kind of an avid cyclist, I enjoy mountain biking on weekends, and road biking for my commute to work, and for charity rides for example Ride for Heart. Interestingly, I also bike commute sometimes with my Ontario on a Chip co-host, and LOC Emerging Investigator Edmond Young – so perhaps cycling contributes to one’s ability to be a good investigator! This seems to change at various points in my life. (If you had asked me this question when I was a teenager, I would have probably said that I wanted to be a professional basketball player.) Right now, I think if I was not a scientist I would probably be a bicycle mechanic. Indeed, if I ever retire from science, I might actually attempt to get a job as a mechanic at my local bike shop. Find a mentor that is well-established, willing to help you, and understands the intricacies of academia, funding, and other aspects of science careers. I was fortunate to receive this kind of mentorship from one of my collaborators from the start of my independent research career. I regard this mentorship as probably the most important factor that has helped me advance in my career. Dr Yi-Chin Toh obtained her B.Eng in Chemical Engineering and PhD in Bioengineering from the National University of Singapore in 2001 and 2008 respectively. 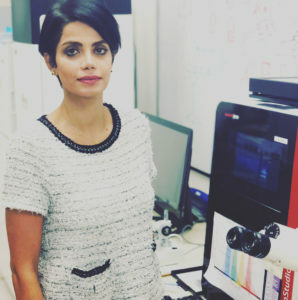 She did her post-doctoral training at the Massachusetts Institute of Technology in 2008 before joining the Institute of Bioengineering and Nanotechnology, A*STAR as a research scientist in 2010. Since 2014, she is an Assistant Professor at the Department of Biomedical Engineering, National University of Singapore. Yi-Chin’s research interest is in engineering multi-tissue in vitro models to mimic complex biological interactions during human development and diseases, and translate them into scalable platforms for disease modeling and drug testing applications. Dr Toh is a recipient of the National University of Singapore Research Scholarship, A*STAR Graduate Scholarship and A*STAR International Fellowship. 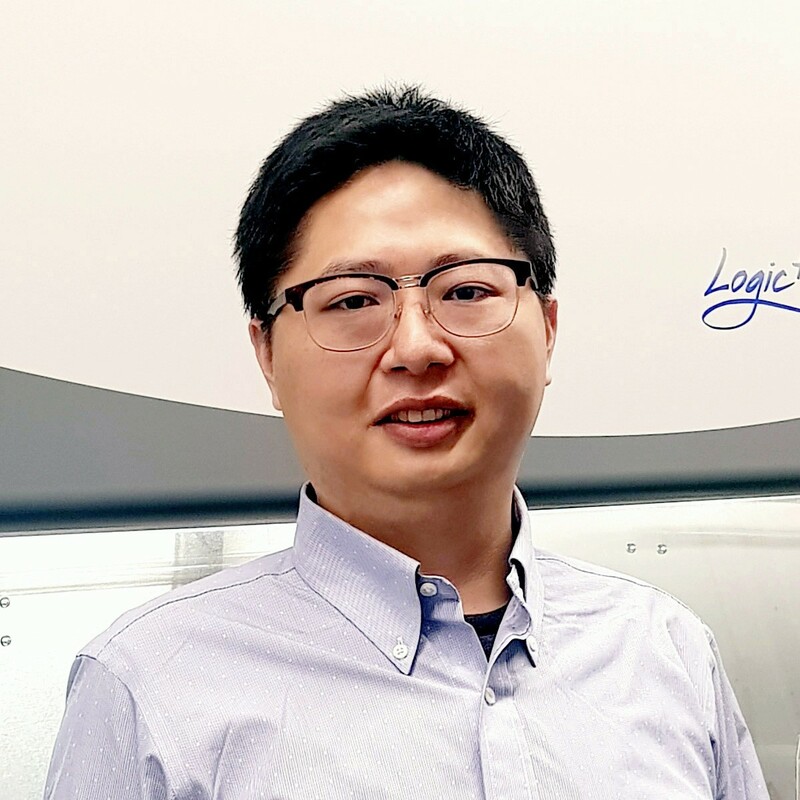 Dr. Weiqiang Chen is an Assistant Professor in the Departments of Mechanical and Aerospace Engineering and Biomedical Engineering at New York University. He received his B.S. in Physics from Nanjing University in 2005 and M.S. degrees from Shanghai Jiao Tong University in 2008 and Purdue University in 2009, both in Electrical Engineering. He earned his Ph.D. degree in Mechanical Engineering from the University of Michigan in 2014. 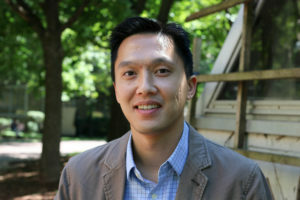 He is the receipt of the National Institute of Biomedical Imaging and Bioengineering Trailblazer Award, the American Heart Association Scientist Development Award, the NYU Whitehead Fellowship, the 2013 Baxter Young Investigator Award, the University of Michigan Richard F. & Eleanor A. Towner Prize for Outstanding PhD Research, and the ProQuest Distinguished Dissertation Award. Dr. Chen’s research interests focus on Lab-on-a-Chip, biomaterials, mechanobiology, stem cell biology, caner biology, and immune engineering. Your recent Emerging Investigator Series paper focuses on “An Integrated Adipose-Tissue-On-Chip Nanoplasmonic Biosensing Platform for Investigating Obesity-associated Inflammation”. How has your research evolved from your first article to this most recent article? We have previously been interested in developing microfluidic biosensing systems for immune cell cytokine detections. Quantitative measurements of the cytokine-producing capacity of different immune cells are critically important for characterizing the immune cell functions and defining the “immune phenotypes” of patients for clinical diagnosis and interventions. Although many advanced biosensing techniques have been purposed for cytokine profiling, there are no clinically available methods that integrate high-resolution immune cell monitoring and multiplexed cytokine detection together in its native tissue microenvironment, which is a big hurdle to understand the cellular immunophenotype behaviors during disease progression. This has inspired us to consider of combining the label-free nanoplasmonic biosensors with an Adipose-Tissue-on-Chip system reported in the recent article to quantitatively characterize obesity-associated dynamic cytokine secretion behaviors in a complex biomimetic adipose tissue microenvironment. I am most excited about the potential of our research for future applications in personalized medicine. In your opinion, what do you think the contribution of disease-on-a-chip models for personalised medicine is likely to be? Traditional medicine, which mostly relies on test of treatment on animal models, has many limitations. This is because the traditional animal models cannot mimic human pathophysiology accurately. Alternatively, the disease-on-a-chip platform can mimic an ideal microenvironment of human pathologic tissue, which enables a more accurate way to test the medicine activity under molecular- and cellular-scale in human organ tissue in vitro. Particularly, the cellular immunophenotype behavior is highly correlated with the tissue microenvironment. Unquestionably, integrating in situ cellular and molecular immune profiling in an organotypic setting can provide a reliable and accurate screening to characterize cell functions in its native tumor microenvironment. More importantly, due to the heterogeneity between individual human being, even for patients who are diagnosed with the same disease, their response to a same medicine treatment can be diversified. The minimized microfluidic disease-on-a-chip model can be derived from the specific patient’s cells or explanted pathophysiology tissue, allows parallel screening of multiple medical treatments in personalized manner. Therefore, this technology will provide the most efficient way to identify the most effective personalized medical options before applying to the patient’s own self. The most challenging part about our research is to accelerate translational technologies from the benchtop to the clinic to make a real impact on patients. A number of obstacles, including differences in culture between basic and clinical researchers, difficulty in developing and sustaining interdisciplinary collaborations, inadequate training and knowledge in medical sciences, and lack of funding, resources, or infrastructure, have limited the opportunities for basic bioengineering investigators, including myself, to conduct translational research. Therefore, my lab has established strong collaboration with many clinical colleagues at NYU Langone Health. Their expertise will contribute most significantly to our research from the biology and clinical aspects. Through this, I believe our engineering methods can introduce real impact to translational clinical research. We will present our research in the upcoming Biomedical Engineering Society (BMES) Annual Meeting and the International Conference on Miniaturized Systems for Chemistry and Life Sciences (µTAS 2018). I enjoy watching movies, spending time with family and friends, and traveling to different cities around the world. I would probably choose a career in social science. Something I could suggest is to be patient in testing your new ideas. It always take some time, normally years, for a scientist to prove a new scientific idea and develop it into practical methods or solutions. 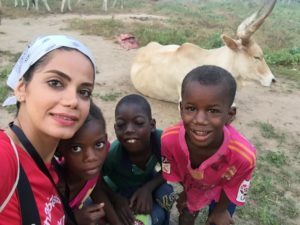 Dr. Aran received her undergraduate degree in electrical engineering at the City University of New York in 2007 and her Ph.D in biomedical engineering at Rutgers University in 2012. She then continued her postdoctoral studies in bioengineering at the University of California Berkeley and was a recipient of National Institutes of Health (NIH) postdoctoral training fellowship at the Buck Institute for Age Research in 2015. She joined Keck Graduate Institute in 2017 as an Assistant Professor and is a currently a visiting scientist at the University of California Berkeley. She is also a consultant for Bill and Melinda Gate Foundation and cofounder of NanoSens innovations. 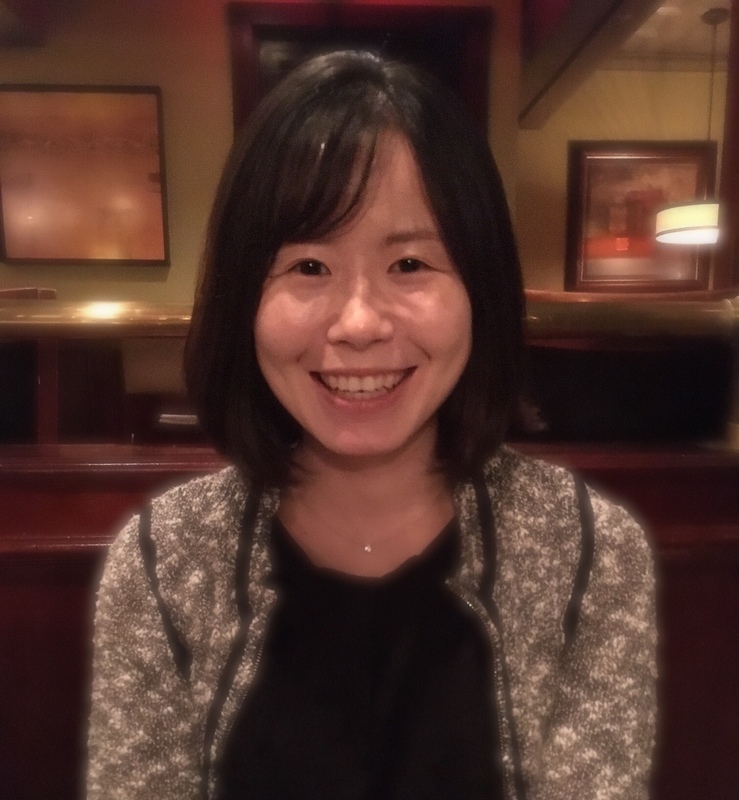 Since starting her faculty position in 2017, Dr. Aran work has been supported by various funds including one RO1, industry sponsored research and a 3 years subaward from University of California Berkeley. Your recent Emerging Investigator Series paper focuses on digital detection of tagged proteins in vivo to identify the circulating biomarkers in aging. How has your research evolved from your first article to this most recent article? I was a recipient of an NIH T32 award during my last years of postdoc training at UC Berkeley (2015-2017) which provided me with the opportunity to work with Dr. Irina Conboy, a pioneer in utilizing bio-orthogonally labeled proteins for research on aging. This approach enabled the detection of several rejuvenating protein candidates from the young parabiont, which were transferred to the old mammalian tissue through their shared circulation. Although this method was very powerful, there were a lot of challenges with the detection of these tagged proteins including very time consuming, complex and expensive assays, large sample requirement and false positive. I started working on this project as a side project along with other projects I had with Dr. Conboy just to make the process more facile so we can detect these protein faster and more continuously. 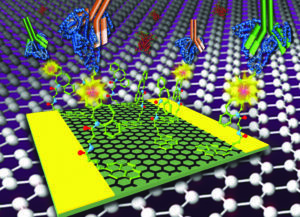 This work is a great example of utilizing a lab on a chip technology for a real application. I have also started collaboration with nanomedical diagnostics, a startup company in San Diego, to enable mass production of our chips with high reproducibility. With my academic and industrial collaborators, we are planning to utilize this technology for at least two different applications in the near future to better understand the biology of aging. I am very excited to see my technologies go beyond publications. Two of my inventions have been licensed toward developing medical devices for drug delivery and medical diagnostics and the joy from that have been the biggest drive for me to work harder. 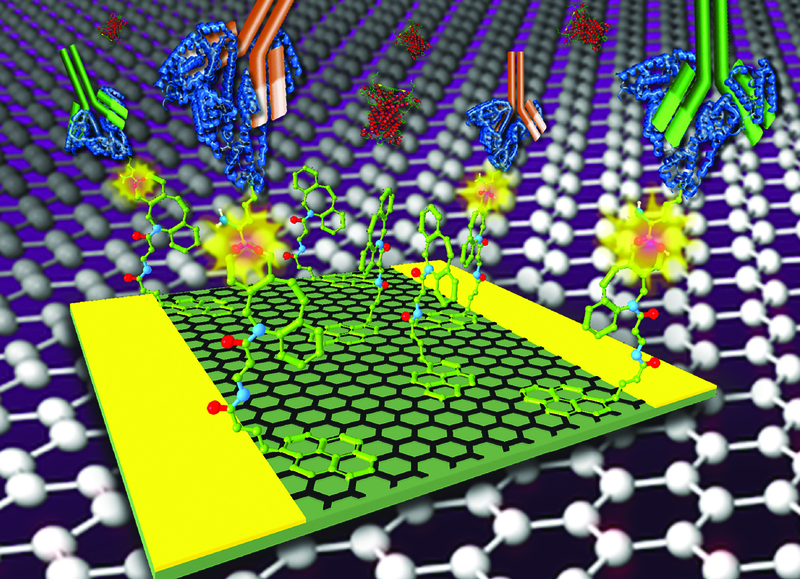 In your opinion, what is the future of portable devices for biosensing? Even though still in its emerging stage, digital diagnostics and 2D materials will shape the future of biosensors. As a junior faculty, it is difficult to recruit highly motivated postdoctoral researchers. Unfortunately, the majority of postdoctoral candidates often look for a well-established laboratory headed by a leading scientist. Students and postdoc should know that working in a new lab can be challenging but can provide researcher with opportunities to strengthen their scientific and management skills. I love what I do so I can not define my spare time from my work time. I have recently co-founded a startup in digital diagnostics so that takes my weekend but I love it. I also paint when I feel like painting. But I do run, swim and work out routinely after work and enjoy a variety of sports. I have also started traveling to small villages around the world with my friends where we help in building schools. I love painting and would have explored a career in art. Have a vision. Sometimes we get lost in small career goals such as publishing but if you have a vision of what you are trying to accomplish you can define your career path, you will start working with the right people who support your vision, you will attend the right conferences and workshops for your career development and you will definitely be successful.